American military officials admitted to members of Congress that they have lost track of millions in small arms, ammunition, night vision goggles, patrol boats, vehicles and other supplies donated by the US to the Yemeni government. The US has supplied more than $500 million in military aid to Yemen since 2007 through programs managed by the Defense Department and State Department. But in January, the Yemeni government was toppled by Shiite Houthi rebels, backed by Iran and critical of US drones strikes in the country, who also took over government military bases in the north. Since then, the Defense Department has lost its ability to monitor the whereabouts of weaponry and equipment. The situation has only grown worse since the US closed its embassy in Sanaa, the capital, in February and withdrew military advisers. “We have to assume it’s completely compromised and gone,” a legislative aide on Capitol Hill told the Washington Post, who spoke on the condition of anonymity. The Washington Post said US military officials declined to comment for the record, but a defense official said there was no hard evidence the weaponry had been looted or confiscated. Nonetheless, the Pentagon had lost track of items. “Even in the best-case scenario in an unstable country, we never have 100 percent accountability,” the defense official told the newspaper. Pentagon officials said that they have little information to go on and that there is little they can do at this point to prevent the weapons and gear from falling into the wrong hands. 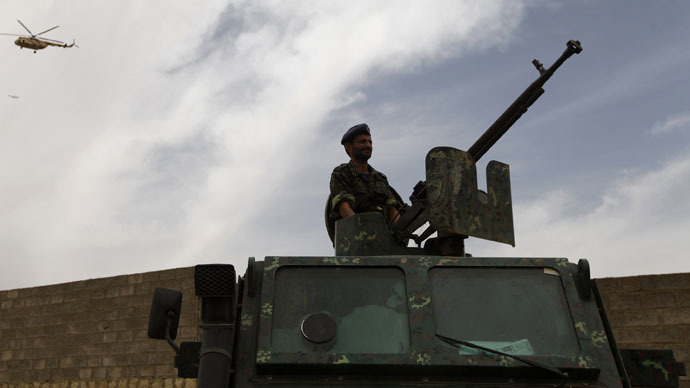 As a precaution, defense officials said they have halted shipments to Yemen of about $125 million in military hardware and donated it to other countries in the Middle East and Africa. In Yemen, the Obama administration pursued a policy to combat terrorism by training and equipping foreign militaries to fight insurgencies and defeat networks affiliated with Al-Qaeda without sending US troops. A similar effort was tried in Iraq after the US-led invasion in 2003, when the US spent $25 billion to recreate Iraqi security forces that were eventually defeated in 2014 by Islamic State fighters who now have control of many areas of the country. Yemen was supposed to be the success story for the White House. The Pentagon has "lost" about $500 million of weapons in Yemen. Pro tip: ask Iran, who backed the recent coup. Or maybe Al Qaeda in Yemen.